Another week has passed and here we are again on a Monday. That means it’s time for another dose of Inspiration!!! I’m currently sick in bed with a very nasty flu, but I’m drinking my tea and have my trusted Cookie keeping me company! I really love this quote. Like, really. I think it’s right on point and is truthful. When someone is good, they’re even more beautiful in my eyes. 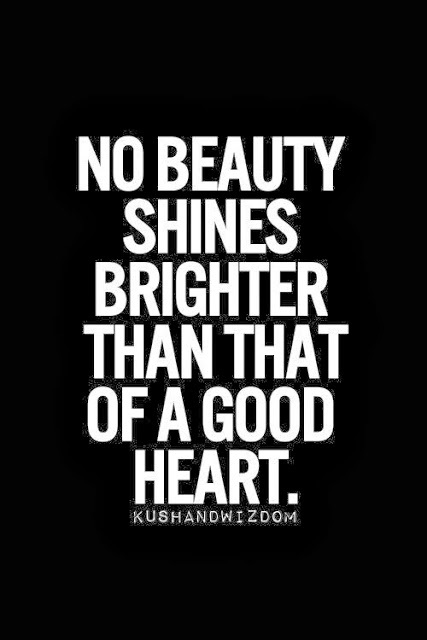 It doesn’t matter how much money you have, how pretty you are or how much you spend on your to look gorgeous…if you don’t have a good heart I feel it’s all pretty much for nothing..
Be good, because being bad is not worth it in the end! Previous Post Cobalt blue jeans for Winter!